Kerri Redding, the Upper School computer science teacher, invited her class to take apart a computer and relate its parts and their purposes to the computer programs they have been writing. 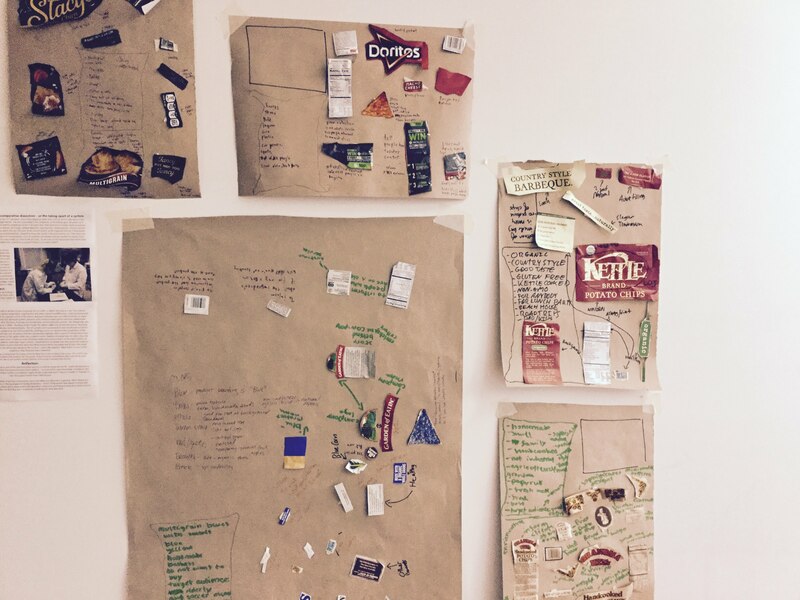 They independently explored the parts, hacking into them to find which ones worked isolated from the overall system. 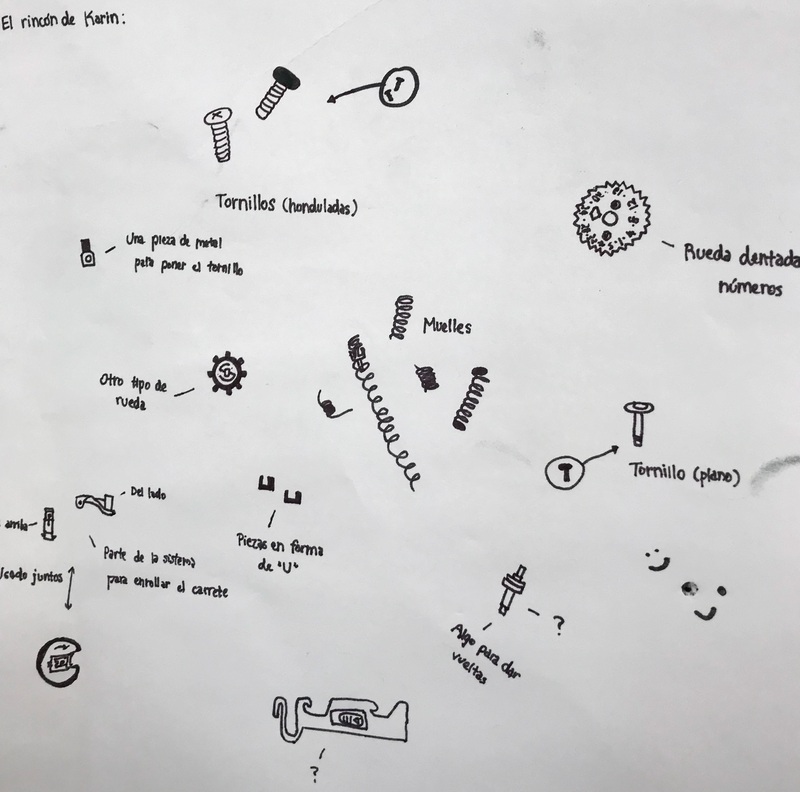 Students deduced the purposes and functions of the parts based on what was familiar from the outside and the internal connections they could spot. 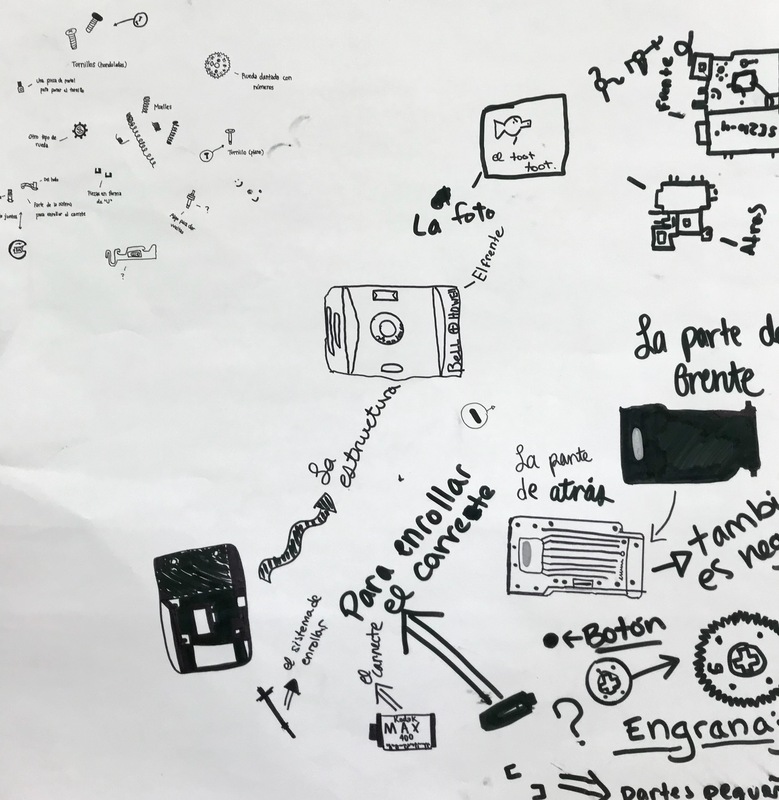 Sonia Chintha, a Middle School English teacher, asked students to take apart their summer reading book Piecing Me Together in order to remix it into a picture of their understanding. 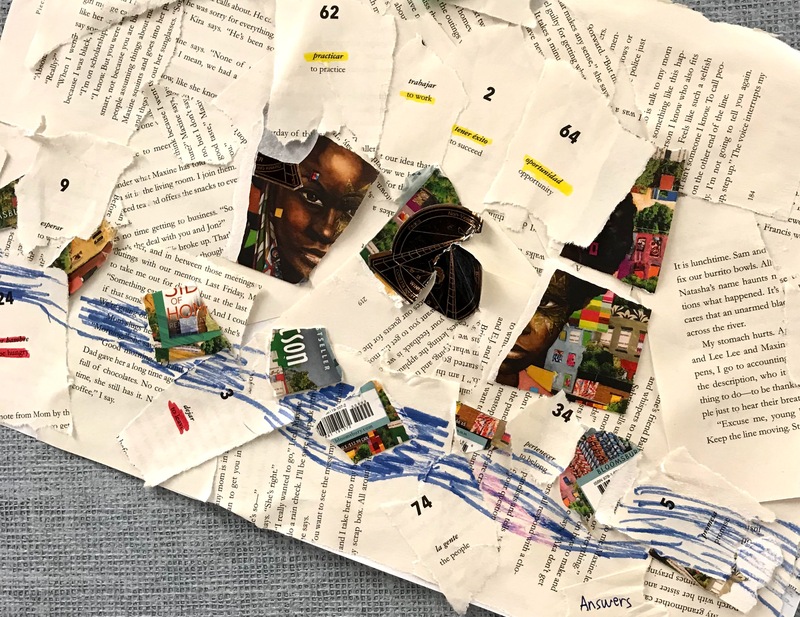 They cut up the book and revealed their own emotional connection to the story and the narrator, a young girl who expresses her coming-of-age struggle through collage. 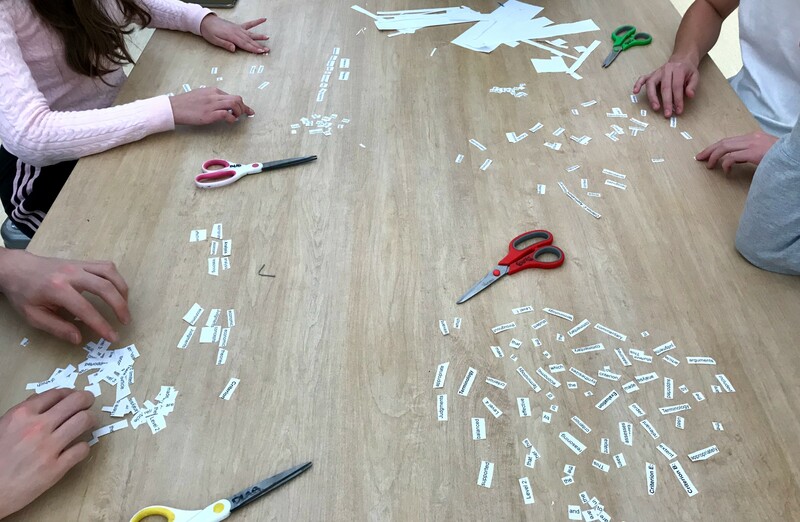 Pulling out the structure and themes of the story with the evidence of the text allowed students to ground and relate their ideas. Mara Wilson’s Middle School Design Technology class took apart water filters and French presses in order to examine the mechanisms of filtration and design their own filtration system for campus gray water. 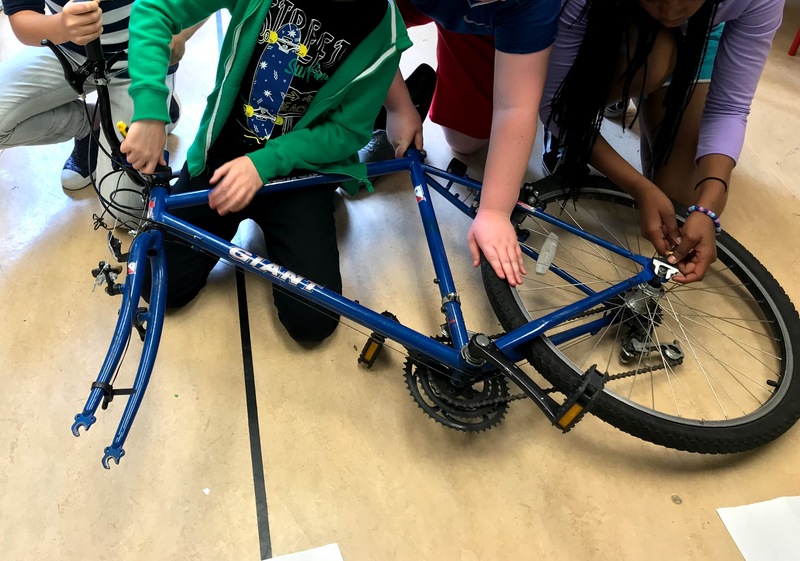 The Take Apart supported their identification of the parts and purposes of filters and anchored their own selection of upcycled found objects for their prototype. It also extended into an important comparison of objects that are designed to be taken apart and how design impacts accessibility. 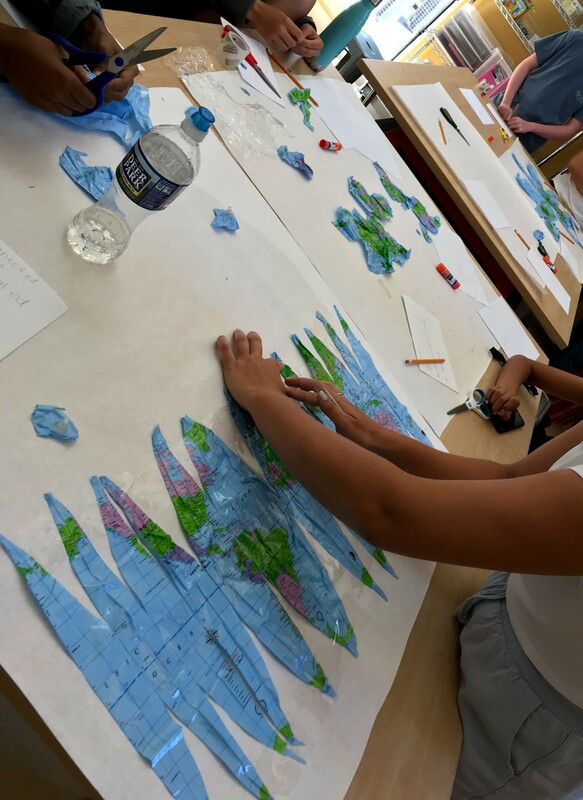 At the Washington International School, we are taking apart a lot of stuff and finding that it can lead us into a rich vein of inquiry on the structure of knowledge and the way we make meaning. Could these revelations in the world of physical things possibly expose our assumptions about the ideas that feel most familiar? Could they open up the porous border between the external and internal sides of our stuff and ourselves? We will ask these questions and more as we dig deeper into the practice of Take Aparts in upcoming posts. 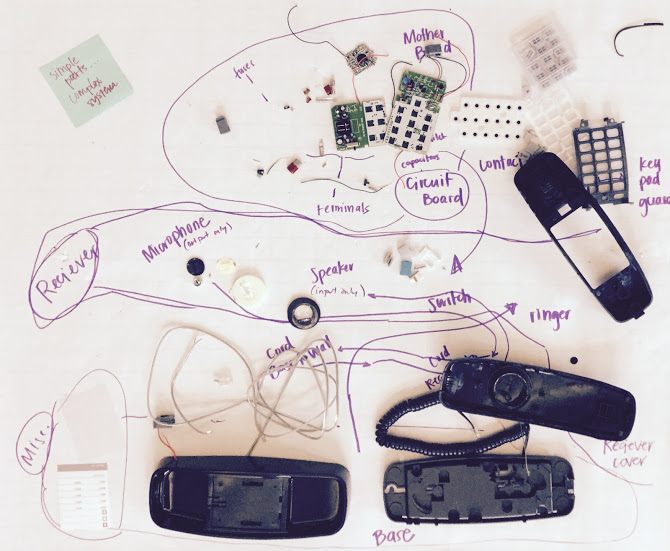 Explore the slideshow below for a peek into the many ways we're taking things apart. This blog was published on December 17, 2018.